When you're looking for adidas soccer socks, soccerloco, the online store with the biggest selection and the lowest prices on the web, is the place to go. You can find adidas elite socks here, that can improve your game and bring your whole uniform together. Thoughtful designs ensure that you can find an adidas soccer sock to bring you comfort and durability that will last for seasons of use. 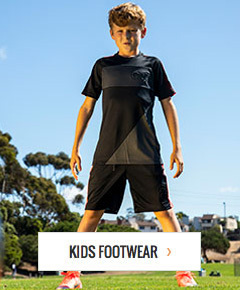 soccerloco has youth adidas soccer socks for younger players that are every bit as great as the larger designs for adults. Shop with us today to get the best socks from one of the biggest names in the game. We carry only the most elite adidas socks because we want you to have the best possible apparel and gear for your game. Whether you need socks for yourself or adidas youth soccer socks for your young player, you can bet they'll be comfortable and durable. Compression at the arches and reinforced toes and heels on some of our adidas socks keep your feet comfortable the entire time you're playing. Even with a variety of styles, each pair of adidas socks in our store has a distinct adidas look with classic adidas tri-stripes either around the cuff, at the arch, or in the branding at the shin. Acrylic, polyester, spandex, and a selection of other materials ensure a great feel, fit, and long-lasting construction. At soccerloco, we go to great lengths to give you the most choices and the best prices on the web so you can find exactly what you want. Our large selection at a great price, paired with our excellent services, is what makes us the leading online retailer of adidas soccer socks and more. If you end up with an adidas soccer sock that doesn't live up to your expectations, send it back; we make returns are easy at soccerloco so that you can avoid the headache. If you want your elite adidas socks delivered to anywhere in the continental US, you can take advantage of flat-rate shipping to help you save even more. So, come to soccerloco today to get yourself a deal on adult and youth adidas socks.